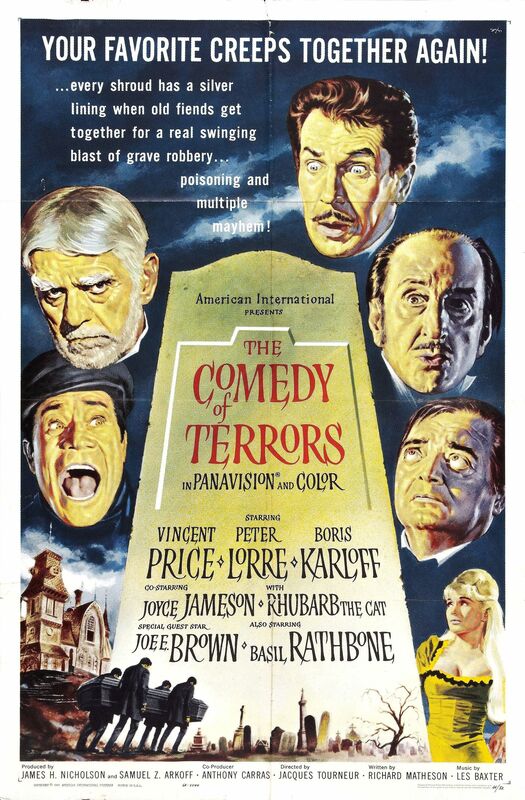 A drunken undertaker (Vincent Price) in need of clients bullies his assistant (Peter Lorre) into helping him kill innocent people — but their attempt to murder their strangely resilient landlord (Basil Rathbone) results in unexpectedly challenging consequences. Meanwhile, Lorre harbors a crush on Price’s mistreated wife (Joyce Jameson), whose aged father (Boris Karloff) has no idea Price is trying to slowly poison him. A similarly painful gag involving Jameson’s terrible singing voice is milked dry as well. The allure of getting to see so many prime horror icons together onscreen, and/or a respect for Tourneur’s prior classics — such as Cat People (1942) or Night of the Demon (1957) — is clearly what will tempt most film fanatics to check this one out; however, as noted in Time Out’s review, “With credentials of this calibre, the movie could hardly fail, but it comes perilously close”. Be forewarned. No; definitely feel free to skip this one, unless your curiosity gets the better of you. Nicely produced and photographed, it’s also acted by the cast of old pros with conviction – and they seem to be having fun, at least. There’s some amusement to be had here, mild though it is. I kind of enjoy seeing Price being this awful a person, for example. It’s also nice seeing Karloff being delightfully batty, Lorre being so smitten, and Rathbone endlessly quoting Shakespeare while having extreme difficulty being murdered. 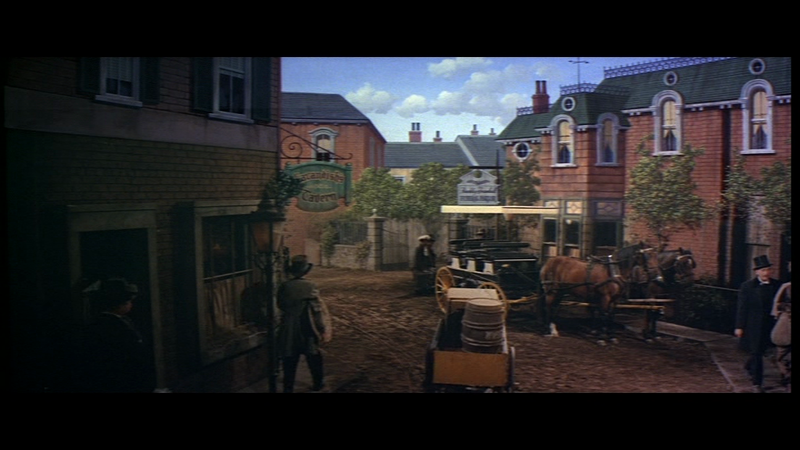 Had Corman directed this (as might be anticipated), the film might not have managed to be as successful as it is. Tourneur does lend a light comic touch that works to a degree, even though the film still feels much longer than its 83 minutes. Matheson affords some nice writing here and there. I found the cat playing Cleopatra (Rhubarb) rather droll and used to good effect.